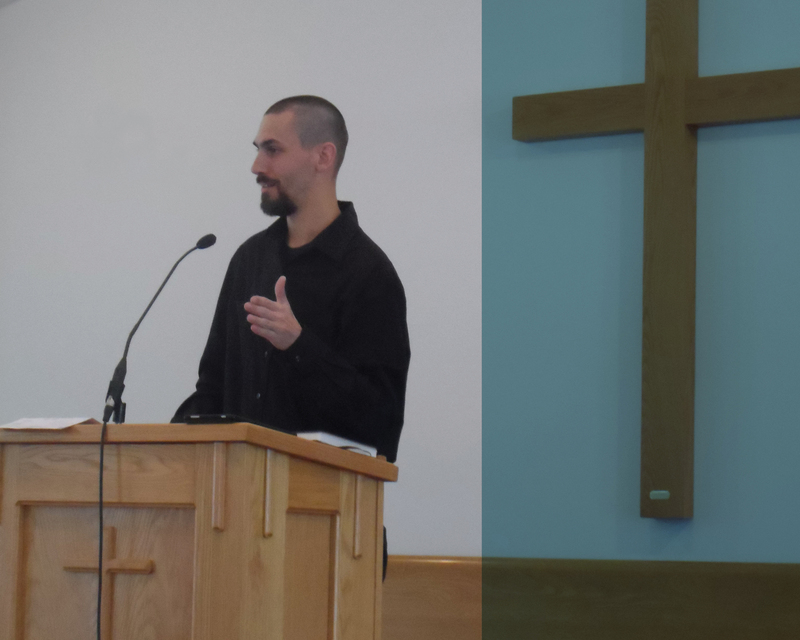 In Fall 2018 Northern Seminary’s Teaching Church Initiative saw its first class of minister/students begin their studies. 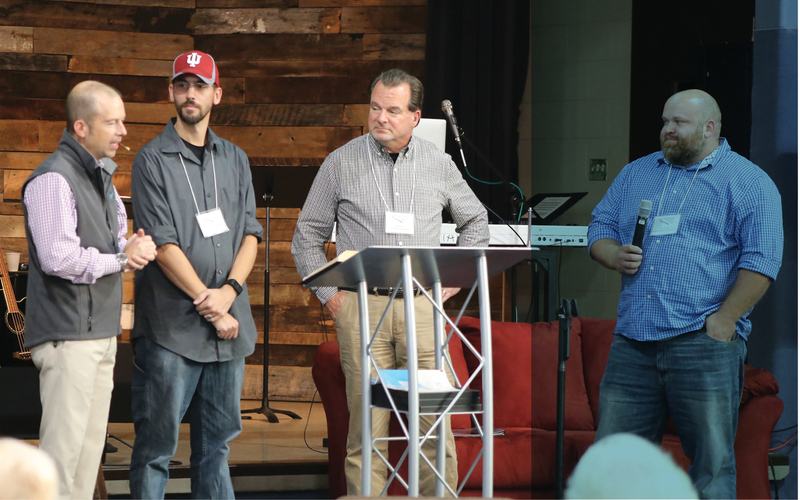 The program, a partnership with the American Baptist Churches of Indiana and Kentucky, allows pastors and ministry professionals who serve in small, local churches to attend seminary via the school’s live-streaming technology—Northern Live. Students receive part or all of their tuition costs from the district and their local church. 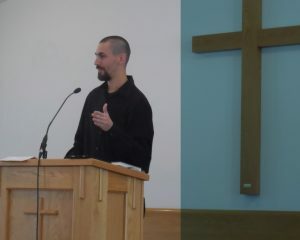 Scott in the pulpit at Elizabeth Baptist Church. 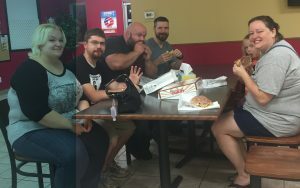 Troy sharing breakfast with his Donut Shop group—congregants who work second shift and appreciate being able to meet with their pastor during the day. What does a typical study week look like for Troy? “From week to week there’s a lot of reading. The class is just like you’re in a classroom. You see everybody face to face realistically, even though we’re miles apart. You click a button to raise your hand, and you’re able to talk and interact with the professor and the other students. It does have the feeling of being in the classroom even though you’re not. Bill Shiell, Scott Johanningsmeier, Mark Kern, and Troy Burns at Teaching Church Initiative, First Baptist Church, Seymour, IN. One early benefit has seen unique kingdom results. 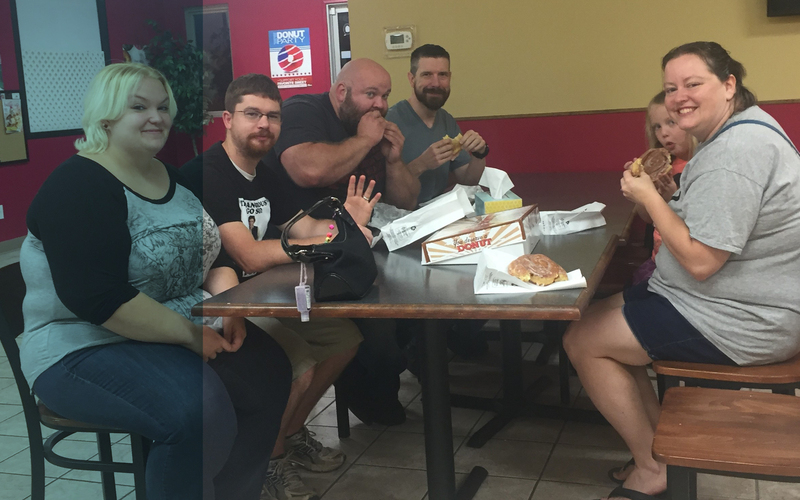 “My first class under David Fitch challenged me to create fellowship like Acts 2:42—breaking bread together. So I started inviting congregants to my house. Through that I’ve been able to have open dialog in things I would never have been able to talk about with them at church. Your continued support—in prayers and gifts—makes that training possible for all our students at Northern. Thank you for your continued generosity.